Just when you thought it couldn’t get anymore convoluted Frank McCourt is now bouncing checks…. are you surprised? Mercy For Animals a watchdog group was able to shoot a 2 minute video with cruelty to pigs, confined to small cages where the animals can barely move. Costco, Safeway, and Kroger have announced that they will not be buying pork products from Iowa Select. So I just upgraded my Google Gmail to 20 gigs at a cost of $5 per year. This is a great way for Google to make some money from gmail users. The free storage is for 10gigs. Amazon strikes again! They terminate every California affiliate because CA now requires Amazon to collect sales tax. I agree with Amazon that states shouldn’t tax these transactions… or any sales from brick and mortar businesses. Thank you for your letter today, informing me that after seven years of being one of your affiliates — and having earned for you about $150, 000 in that time — that you “deeply regret” unilaterally terminating my contract with Amazon to be an affiliate. I also especially appreciated the part where you reassured me that this action wouldn’t affect my ability to keep buying from your company. Nice touch. The comments are closed on Danny’s posting… but you can leave comments here. It seems that we are left as affiliates with CPC/PPC leads, and those companies that are based or do business in California that already pay tax in the state. But as some have written, you can setup an LLC in another state that doesn’t have these affiliate nexus laws. I wonder why and how this legislation made it through to the Gov for signing. I’ve called both my Assemblymember and Senator to get further clarification, according to the records the AB 153 and AB 155 have not been voted on. This had to have been in the works for some time, I had heard and read about it months ago, but had no idea that it was being passed this quickly, did it get rolled into the budget? Who are the special interests behind this bill? Big box stores? There are dozens of affiliate networks/programs following suite because of this action from Amazon. Is it possible to get an invite? Yes they are being handed out slowly and controlled. Almost like in the early days of GMail. So how do you get one? Are there any workarounds? Mostly you have to know someone that has an account and has invites available to send. That would be those that work at Google and those who have been invited to the early beta. The invites are apparently being sold online, include ebay. As soon as we get one here, we will start to invite or readers/friends. Google just launched its new service: Google Plus (Google+). Right now it’s invite-only and a lot of you may be wanting an invite or looking for ways to invite your friends. So here you go. 2. Now add the visibility for that post by typing in email addresses or by adding circles. 1. Create a new circle. Add people to that circle by dropping them in from the ‘find and invite’ option. 3. Share that album with all the people in that circle. People in that circle will receive an invite via album sharing request. Don’t worry. You can try again through the same link some time later. It’s probably because of invites rate limited by hour. Google just announced that they have closed any more invites for the night. California Governor Brown Screws Affiliate Marketers, Small Businesses, Affiliate Networks and others by Passing Nexus Laws. Governor Brown of California has announced he has secured enough votes to pass his budget, including the Affiliate Nexus Tax and 2 related nexus bills: AB 153, AB 155 and SB 234. The law will go into effect immediately upon signing, and he must sign before July 1st, 2011. Danger Brown writes about a workaround establishing an LLC out of state, perhaps in a state that doesn’t have tax, like Wyoming. PGA Golf Robert Garrigus Smokes Pot. Is this a shock? US golfer Robert Garrigus admits he smoked marijuana during rounds of golf at tournaments. anyone have a picture of him smoking a joint? Our friends at Sambazon are giving away a trip for 2 to Brazil! HAVE YOU ENTERED YET? For every entry they’re donating $1 to Whole Planet Foundation to fund microlending projects around the world. Enter here https://apps.facebook.com/braziltrip and GOOD LUCK! If you live in CA you are no longer able to be a part of the Amazon Associates program. Hello, Unfortunately, Governor Brown has signed into law the bill that we emailed you about earlier today. As a result of this, contracts with all California residents participating in the Amazon Associates Program are terminated effective today, June 29, 2011. Those California residents will no longer receive advertising fees for sales referred to Amazon.com, Endless.com, MYHABIT.COM or SmallParts.com. Please be assured that all qualifying advertising fees earned before today will be processed and paid in full in accordance with the regular payment schedule. This Thursday, June 30, from 4-8pm. You’re invited: We’re throwing a special preview part at your new neighborhood Vons Store. Tour our aisles and discover everything we have to offer. Plus, use your exclusive coupon with your VonsClub Card and get an extra 10% off” when you shop during the party. We’re looking forward to seeing you. Come and enjoy delicious food sampling throughout the store. Apparently the store is already open, but celebrations will be held through the day, including the grand opening of the new store, which was totally rebuilt from the ground up. Today and tomorrow, June 30 and July 1, 2011. The store including FREE wifi is a first for a market of this type, perhaps a trend of things to come, as we start to experience wifi anywhere we go. As we continue to search for local service providers of repair services. Here’s one we have heard great things about, but have yet to try them. It may not come as a surprise to some, but MySpace once the internet social media darling has been sold according to reports for $35 million to a Specific Media. The number of employees will be reduced from the current 400 to 200 and other cost cutting measures will take place as part of the deal. Amazing that News Corp, paid close to $600 million in 2005 for MySpace and now is selling it for $35 million. CEO Mike Jones is expected to stay, at least for the time being. Apparently the focus of MySpace will be on music. Is that enough to keep the company generating revenue? Music was for many years the strength of MySpace. Update: Justin Timberlake is apparently an active investor in Specific Media and will be taking a active part in the operation of MySpace. You may remember – Timberlake played Napster founder Sean Parker in “The Social Network,” the Oscar-nominated film about the creation of MySpace rival Facebook. Walgreens Brand Health & Wellness Products are considered one of the oldest and most reputable products from a company in health products for the cure and prevention of various ailments. All the products of Walgreens are highly effective, without any side effects and can be taken without any medical supervision. The company offers products for everything related to beauty, personal care, and even vitamins and supplements for blood sugar, bone and joint health, immune health, healthy digestive system and much more with one or the other according to the health needs. Now, many adults are suffering from deficiency of vitamins and minerals because of their unhealthy diet. 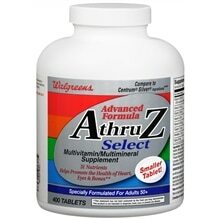 The same happened with my father too as he started feeling lethargic and tired and so he was suggested “Walgreens A Thru Z Select Multivitamin/Multimineral Supplement Tablet”. As soon as he started having this product, he started feeling more energetic and his deficiency level also improved considerably. This product has been especially formulated for adults of 50 years plus. It contains 31 nutrients and promotes the health of eyes, bones as well as heart. It is affordable as you can have four hundred tablets for $24.99. Recommended dose is 1 tablet per day with meals and if taken daily can create wonders and you will feel energetic the whole day. Vitamins and minerals and other nutrients play a very important role for maintaining a healthy body and Walgreens Brand Health & Wellness Products have proved to be very cost effective, giving healthy body and life to the individuals and families but without affecting their income and budget. To increase your energy level and for controlling your minor ailments, I suggest Walgreens Brand Health & Wellness Products. These are the health supplements which can be taken without any medical supervision and are beneficial for the overall health and physical fitness. Walgreens pharmacist recommended. Most products contain the same active ingredients as other national brands and carry a 100% satisfaction guarantee. In addition to being great products when you Walgreens Brand Health & Wellness Product supports you are bringing preventive wellness services to local communities through the Walgreens Way to Well Fund™. Walgreens will contribute up to $3 million annually to the Walgreens Way to Well Fund™. The Walgreens Way to Well Fund™ will provide free preventive health tests as well as other health and wellness services and education to local communities. Some of those services will include preventive health tests through the National Urban League Health & Wellness Tour and vouchers redeemable in select stores. For details, visit walgreens.com/waytowell. I just received this email from the Amazon Associates Program. Not a good development for those publishers living in California. Maybe time to move? Hello, For well over a decade, the Amazon Associates Program has worked with thousands of California residents. Unfortunately, a potential new law that may be signed by Governor Brown compels us to terminate this program for California-based participants. It specifically imposes the collection of taxes from consumers on sales by online retailers – including but not limited to those referred by California-based marketing affiliates like you – even if those retailers have no physical presence in the state. Looking at the popularity of the cannabis seeds and its varieties, Seedscanner is offering to the cannabis lovers a place where they can compare the quality and prices of these seeds at a glance across different vendors. Seedscanner’s main aim is to give the people interested in growing cannabis plants the value of their money by presenting them the quality seeds and that too at cheaper rates. Now as the selling of the seeds has become legalized in the United Kingdom, the need for the people to understand about the different kinds of seeds and to compare their prices has also increased. Seedscanner’s main purpose is to give an overview of the cannabis seed trade on daily basis to the regular buyers enabling them to understand the growing trend in the seed market and fully utilize their buying spree. The best part of the Seedscanner is the fact that they promote the seeds only from the reliable and reputed sellers who have already proved their value. Besides website also provides information on the different kinds of seeds that are suitable for the different climatic conditions and also other information like reviews by the customers and how the cannabis plants and marijuana grown for medicinal values are useful for the people in relieving their pain. Seedscanner will prove to be the most useful for the cannabis growers in the future too. As the demand for the seeds grows, so will its economic value, and also the importance of need for understanding its different types and its value in economic as well as medicinal terms. Google Apps accounts are undergoing an improvement, allowing you to give users access to over 60 additional applications from Google. We encourage you to transition your organization’s accounts on your own schedule now. We plan to fully transition your organization soon — including all users that you have not yet transitioned yourself. If you have not transitioned by the week of July 13, 2011, we’ll complete the transition for you. If you have questions about this transition, we encourage you to explore our Help Center documentation for administrators and for end-users.